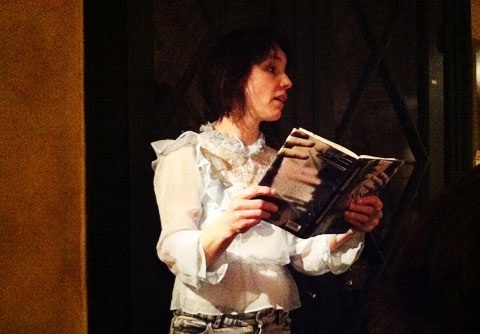 ”Beautiful Malice” by Rebecca James has already been sold to over thirty countries and the Swedish publisher (Alfabeta Bokförlag) organized an evening where they talked about the novel and the actress Lo Kauppi (above) read excerpts from the novel. The novel is basically a thriller, but with a thick “chick novel” layer. When Katherine is 15 years old, her 14-year-old sister is murdered. When we get to meet Katherine, she is finishing high school in another city and she is using a different name. Katherine, who lives with her aunt, has no friends and has become somewhat of a loner. 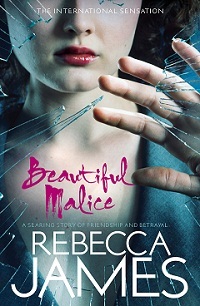 One day the school’s most popular girl, Alice, approaches her and wants to become her best friend. At first it seems like Alice is the best thing that has happened Katherine in many years, but it soon becomes apparent that something is not is right about Alice. The book mixes three timelines in parallell, which works perfectly! Something that does not work as well is the fact that the novel is written in first person. I used to be an outspoken opponent to that in all contexts, but lately I have begun to accept it. However, here it does not work at all. Except for Katherine and Alice, the characters become way too generic. The main characters also seem much older that they are supposed to be. Katherine, who is supposed to be 17, often feels closer to 30. The novel never becomes exciting, and I almost guessed the entire storyline based on the 12 sentences on the back cover… There are some surprises (e.g. it ends in a very unusual way), but I do not get any wow-feelings. Much of the story is based on emotional conversations between the characters. It slows down the pace, and I imagine that many people like this soft way of telling a story, but I am not a fan.